N 41° 14' 6" and E 1° 48' 42"
Sitges in Barcelona (Catalonia) with it's 27,668 habitants is a city located in Spain about 294 mi (or 473 km) east of Madrid, the country's capital town. Current time in Sitges is now 11:24 AM (Friday). The local timezone is named Europe / Madrid with an UTC offset of 2 hours. We know of 9 airports closer to Sitges, of which 3 are larger airports. The closest airport in Spain is Barcelona International Airport in a distance of 14 mi (or 23 km), East. Besides the airports, there are other travel options available (check left side). There are several Unesco world heritage sites nearby. The closest heritage site in Spain is Works of Antoni Gaudí in a distance of 22 mi (or 35 km), North-East. We saw 10 points of interest near this location. In need of a room? We compiled a list of available hotels close to the map centre further down the page. Since you are here already, you might want to pay a visit to some of the following locations: Olivella, Avinyonet del Penedes, Cubelles, Begues and Vilafranca del Penedes. To further explore this place, just scroll down and browse the available info. Let's start with some photos from the area. 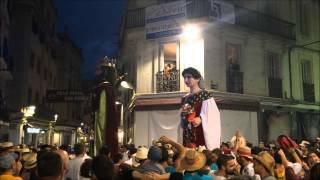 UN RESUM DE LA PROCESSÓ DE SANTA TECLA A SITGES, EL 23 DE SETEMBRE DE 2014. 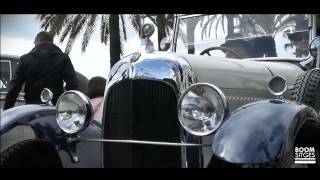 Recorrido por las playas de Sitges. 1ª edició de la Sitges Rock Trail. 21 de març de 2015. 9:00 hores. 25 km. 1000 metres de desnivell positiu. Country Spain Autonomous community Catalonia Population 27668. 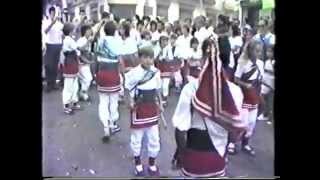 LA MATINAL INFANTIL DE SANTA TECLA A SITGES L´ANY 1985 AL SEU PAS PER EL RECO DE LA CALMA. encesa de la Colla Vella de Diables de Sitges durant la processó de Santa Tecla, el passat 23 de setembre de 2011. 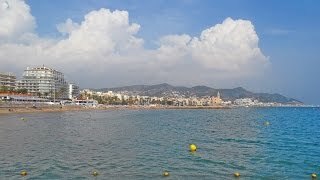 Sitges is a town about 35 kilometres southwest of Barcelona, renowned worldwide for its Film Festival and Carnival. Located between the Garraf Massif and the sea, it is known for its beaches, nightspots, and historical sites. Located at 41.2384, 1.78061 (Lat. / Lng. ), about 2 miles away. Alt Penedès is a comarca (county) in Catalonia, northern Spain. The capital is Vilafranca del Penedès. Located at 41.3653, 1.68194 (Lat. / Lng. ), about 11 miles away. 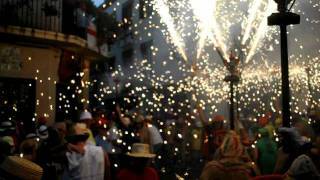 Garraf is a comarca (county) in the province of Barcelona, Catalonia, northern Spain. It is named after the Garraf Massif. Located at 41.3167, 1.81667 (Lat. / Lng. ), about 6 miles away. Penedès is a natural and historical region of the autonomous community of Catalonia, Spain. 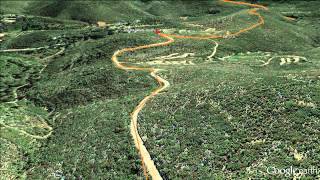 It is located in the south of the Principality of Catalonia between the pre-coastal mountain range (Serralada Pre-litoral) and the Mediterranean sea. The comarcal division of the Generalitat de Catalunya in 1936 and 1987, divided Penedès into three administrative comarques: Alt Penedès, Baix Penedès and Garraf, and their capitals are Vilafranca del Penedès, el Vendrell and Vilanova i la Geltrú. Located at 41.2933, 1.74957 (Lat. / Lng. ), about 5 miles away. Les Cabanyes is a municipality in the comarca of Alt Penedès, Barcelona, Catalonia, Spain. Located at 41.373, 1.69 (Lat. / Lng. ), about 11 miles away. La Granada is a municipality in the comarca of Alt Penedès, Barcelona, Catalonia, Spain. Located at 41.3667, 1.71667 (Lat. / Lng. ), about 10 miles away. Santa Fe del Penedès is a municipality in the comarca of Alt Penedès, Barcelona, Catalonia, Spain. Located at 41.387, 1.722 (Lat. / Lng. ), about 11 miles away. Santa Margarida i els Monjos is a municipality in the comarca of Alt Penedès, Barcelona, Catalonia, Spain. Located at 41.323, 1.665 (Lat. / Lng. ), about 10 miles away. Located at 41.3847, 1.79806 (Lat. / Lng. ), about 10 miles away. The Museu del Ferrocarril de Catalunya (Catalonia Railway Museum) in Vilanova i la Geltrú has a large collection of historic railway locomotives and other rolling stock in the former station roundhouse and on its surrounding outdoor grounds. Located close to the railway station in Vilanova i la Geltrú, 40 km south of Barcelona. Located at 41.2203, 1.73056 (Lat. / Lng. ), about 4 miles away. Located at 41.2528, 1.90167 (Lat. / Lng. ), about 5 miles away. Located at 41.2559, 1.90543 (Lat. / Lng. ), about 5 miles away. Sitges railway station serves the town of Sitges in the comarca of Garraf, in Catalonia, Spain. It is served by RENFE Rodalies Barcelona line R2. The station has three platforms. Platform 1 is the location of the main ticket office and waiting room as well as the entrance and exit to the station. Platforms 2 and 3 form an island platform which are accessed by an underground subway from platform 1. Located at 41.2393, 1.80958 (Lat. / Lng. ), about 0 miles away. Located at 41.2244, 1.72583 (Lat. / Lng. ), about 5 miles away. Cau Ferrat, located in Sitges, was the home and study of artist and writer Santiago Rusiñol, one of the most important figures of the Modernisme movement in Catalonia. It is one of the three museums in Sitges located on the shores of Sant Sebastià beach. It is currently closed for refurbishment and is planned to be reopened at the end of 2012. Located at 41.2351, 1.81274 (Lat. / Lng. ), about 0 miles away. The Maricel Museum is a museum located in the centre of Sitges; is currently closed for refurbishment and reopening is planned for the summer of 2014. The Maricel Museum is part of the Barcelona Provincial Council Local Museum Network. Located at 41.235, 1.8125 (Lat. / Lng. ), about 0 miles away. The Can Llopis Romanticism Museum (Catalan: Museu Romàntic Can Llopis) is a museum located in Neoclassical-style building in the centre of Sitges and is part of the Barcelona Provincial Council Local Museum Network. Located at 41.2369, 1.80778 (Lat. / Lng. ), about 0 miles away. The Catalan Wine Cultures Museum or VINSEUM is a museum situated in an antique house-palace of the monarchs of the Crown of Aragon, in Vilafranca del Penedès. If was formerly known as the Vilafranca del Penedès Museum. Located at 41.3467, 1.69694 (Lat. / Lng. ), about 10 miles away. The Can Papiol Romanticism Museum (Catalan: Museu Romàntic Can Papiol) is a museum located in the historic centre of Vilanova i la Geltrú. It is a manor house dating from the end of the 18th century and is characteristic both for the furniture and decorative elements preserved from the time. Its aim is to evoke 19th-century society by analysing the everyday life of a well-to-do family of the time. The museum is part of the Barcelona Provincial Council Local Museum Network. Located at 41.2278, 1.72472 (Lat. / Lng. ), about 5 miles away. Autódromo de Sitges-Terramar is a former racing circuit located in Sant Pere de Ribes near Sitges. Although minor races were sporadically held on the circuit through the 1950s, it was largely abandoned after the inaugural season of 1923. Owing to the excellence of its construction, the track remains intact even after 80 years of disuse. Located at 41.2383, 1.78056 (Lat. / Lng. ), about 2 miles away. Located at 41.2333, 1.86667 (Lat. / Lng. ), about 3 miles away. These districts belong to Sitges. These are districts that are close by, but belong to a different city than Sitges. These are some bigger and more relevant cities in the wider vivinity of Sitges.